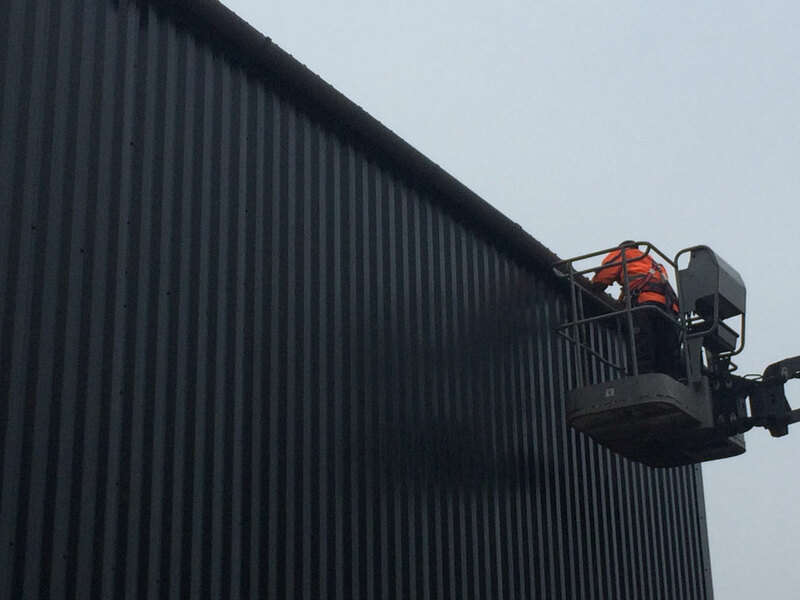 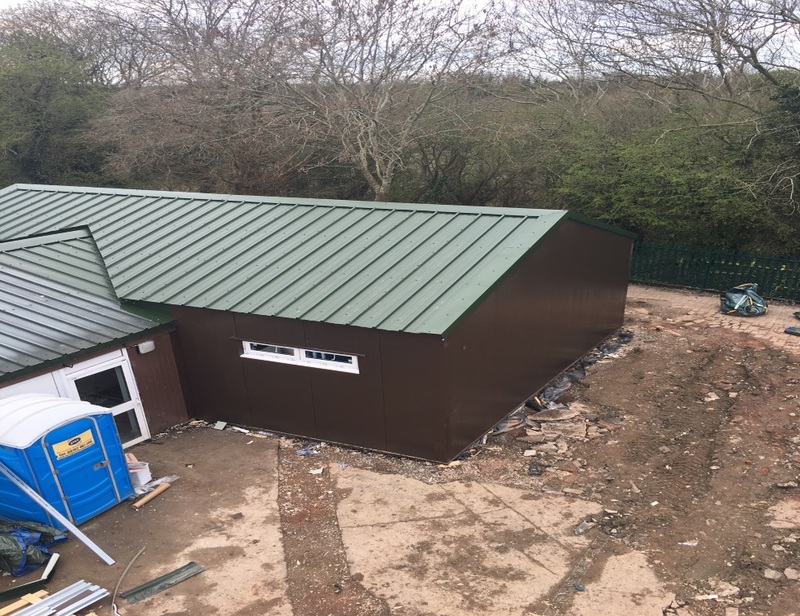 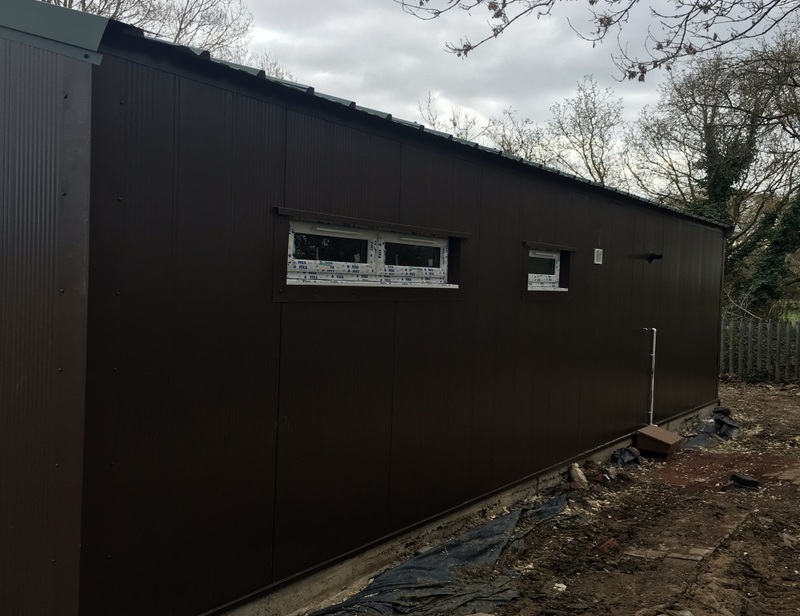 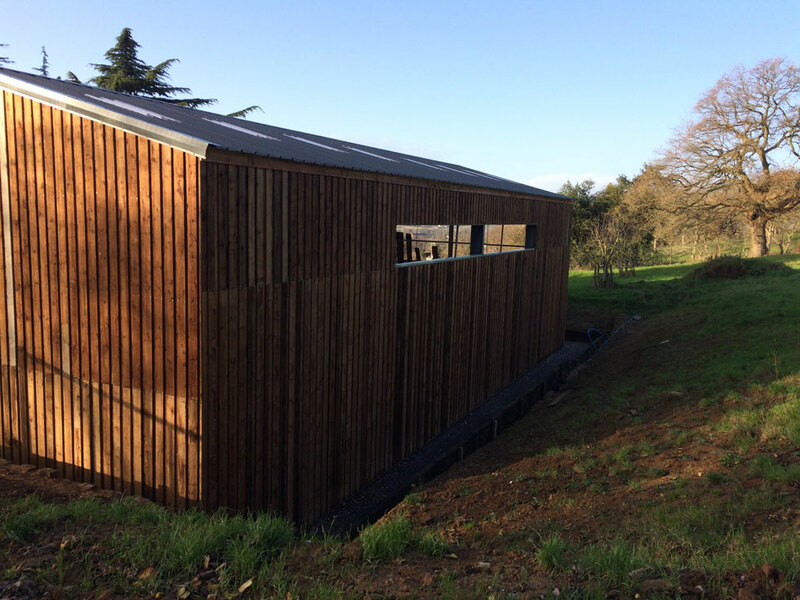 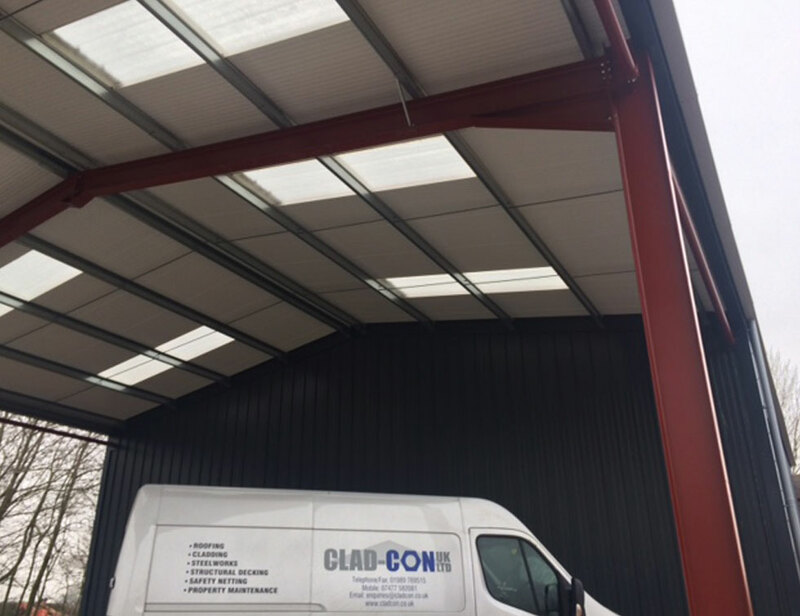 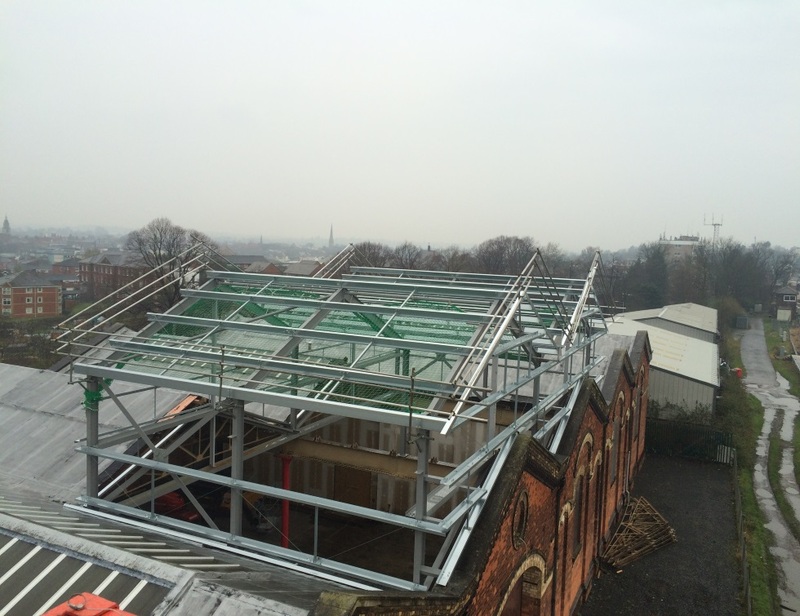 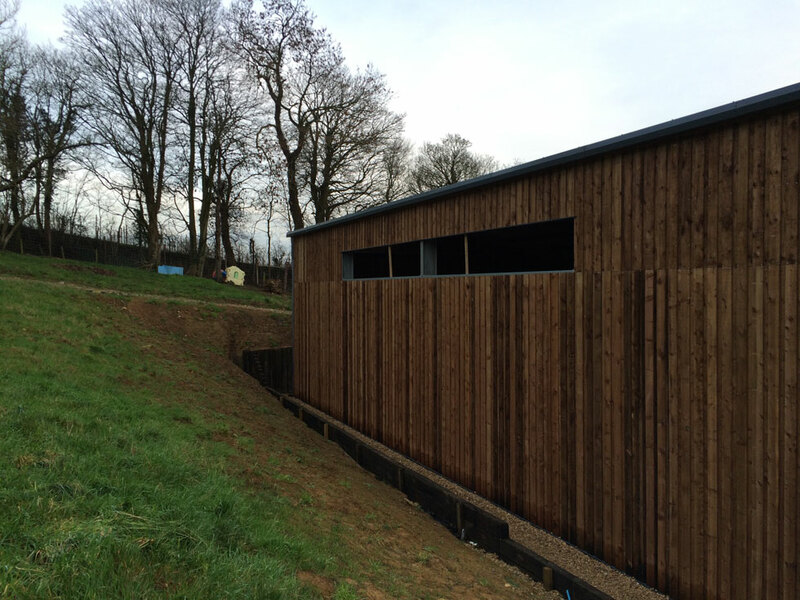 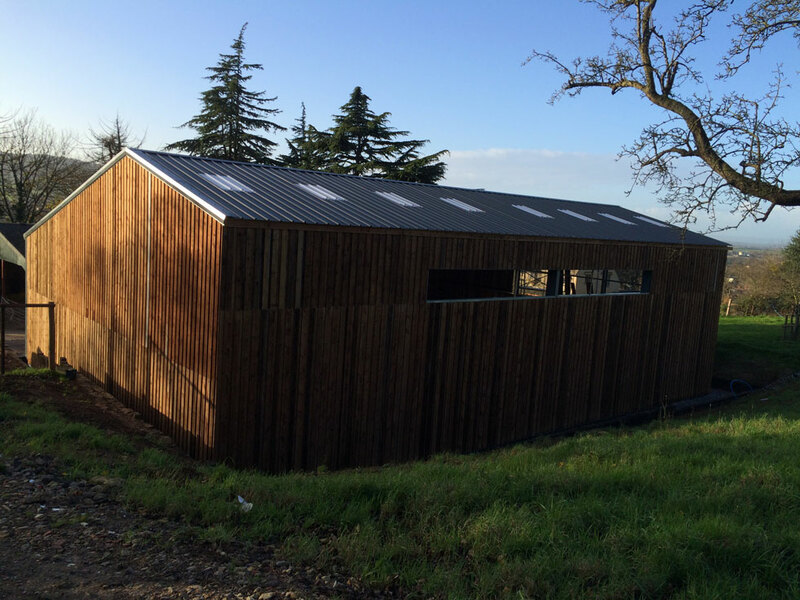 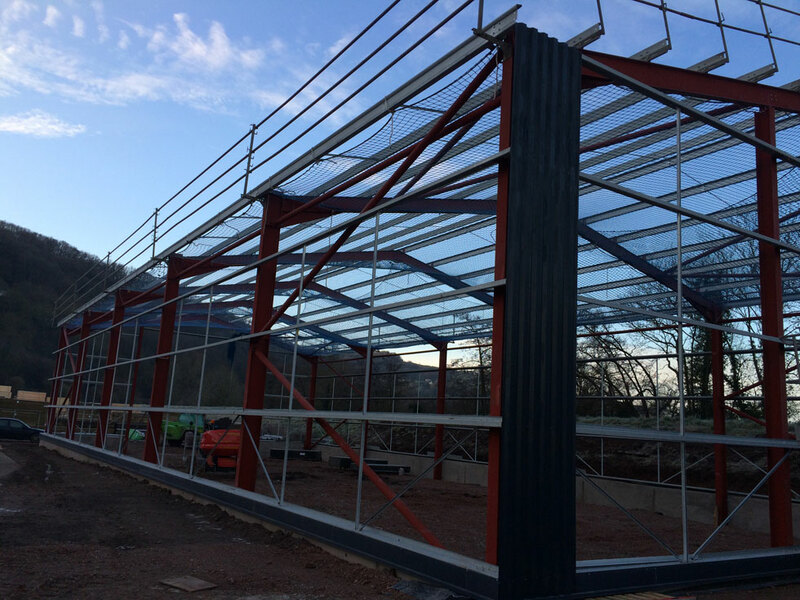 Comprised of Installation of Steelwork, Safety Netting, Composite Panel roof with Cedar wood cladded walls. 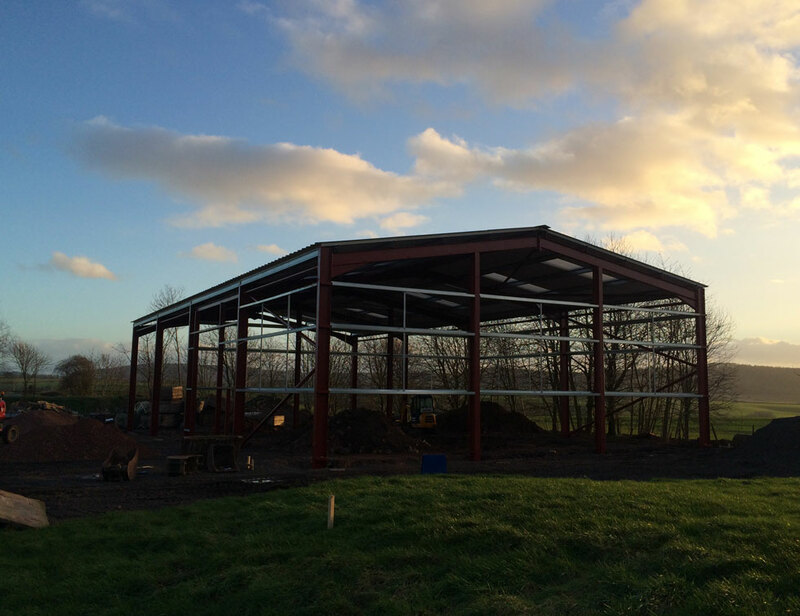 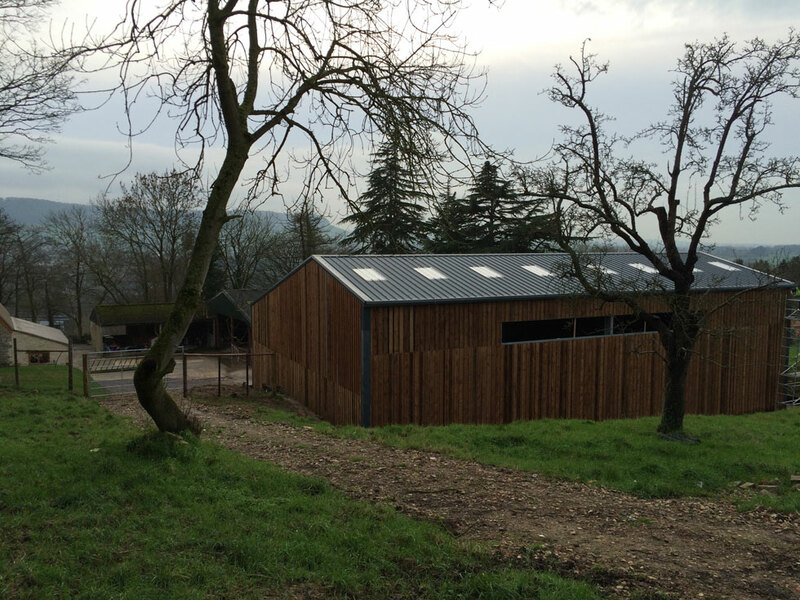 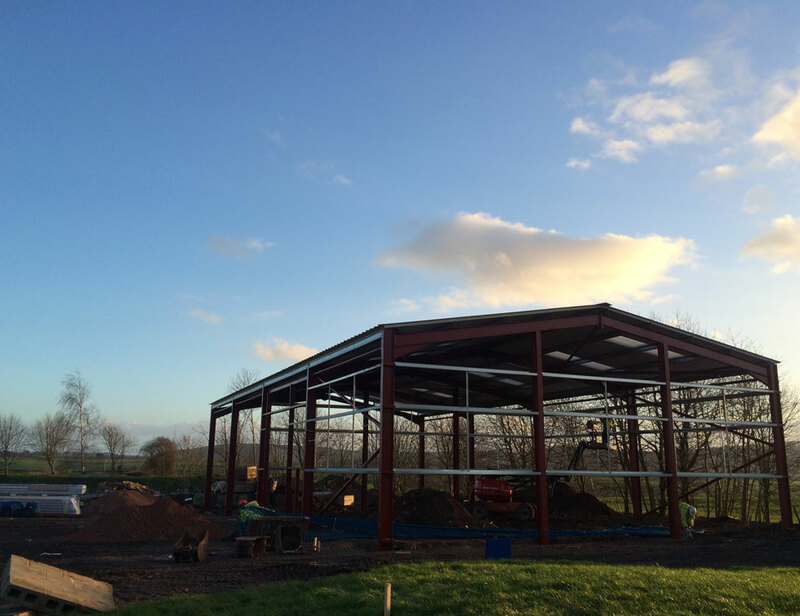 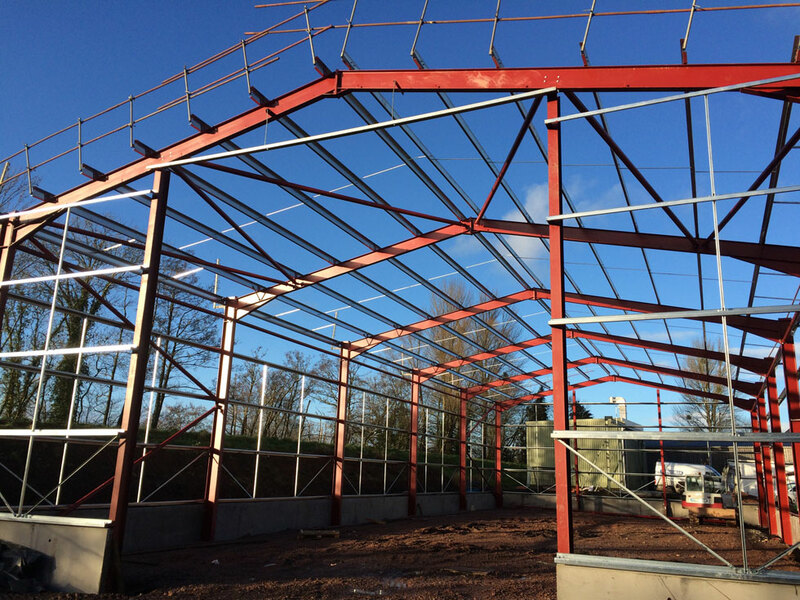 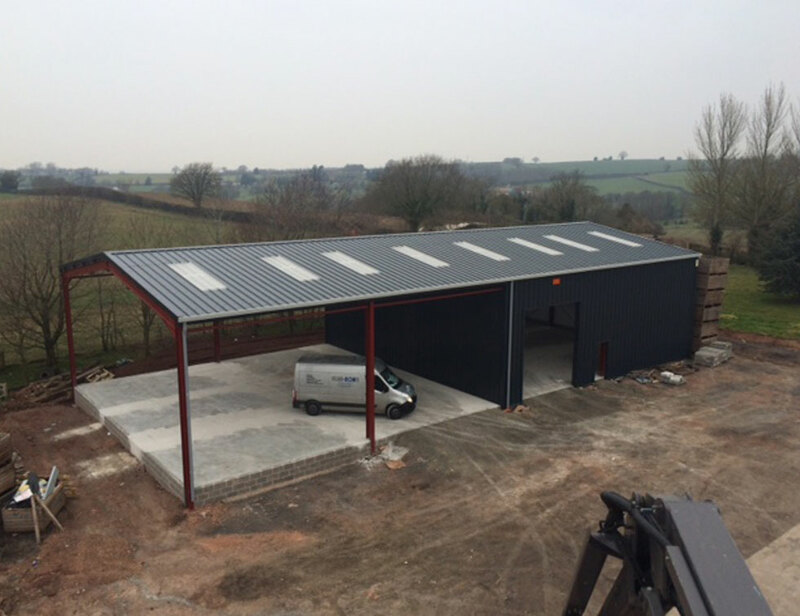 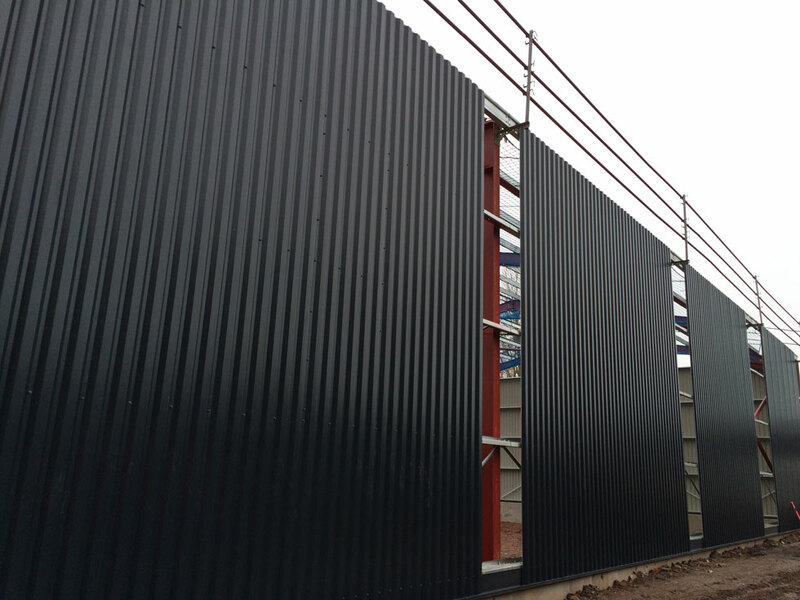 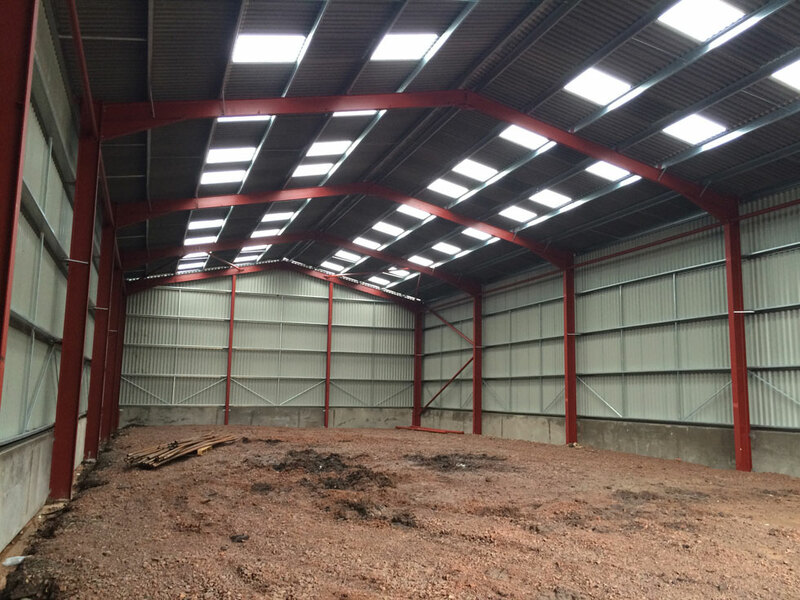 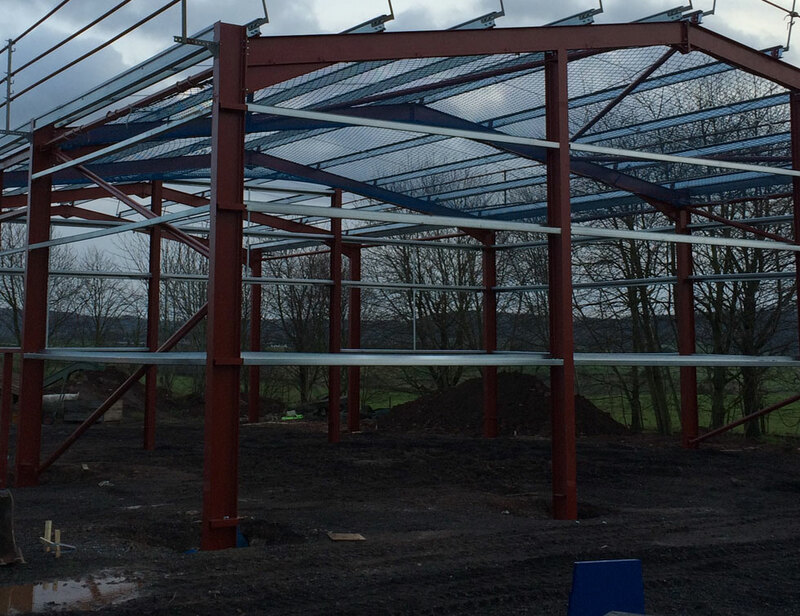 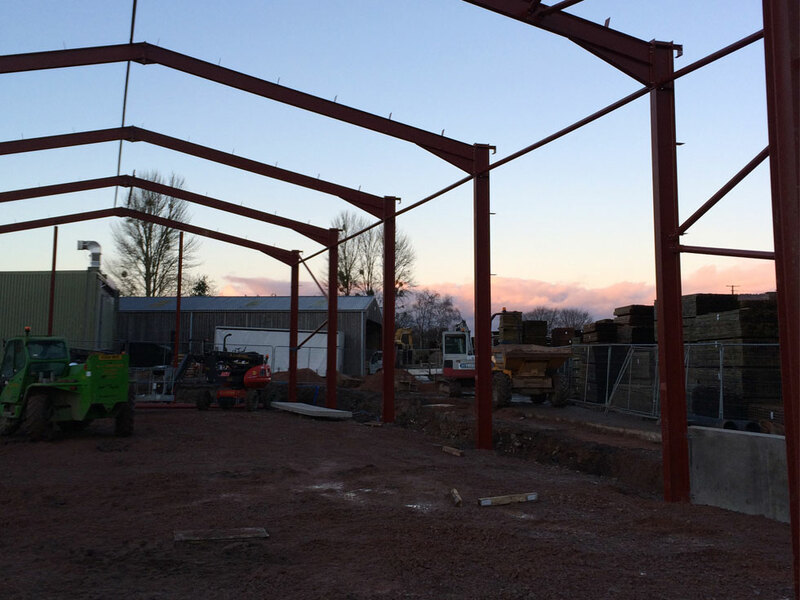 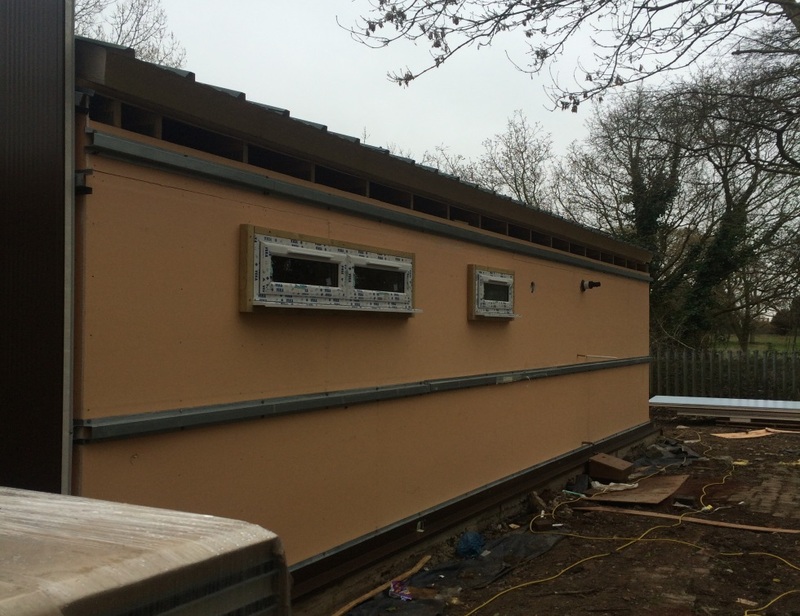 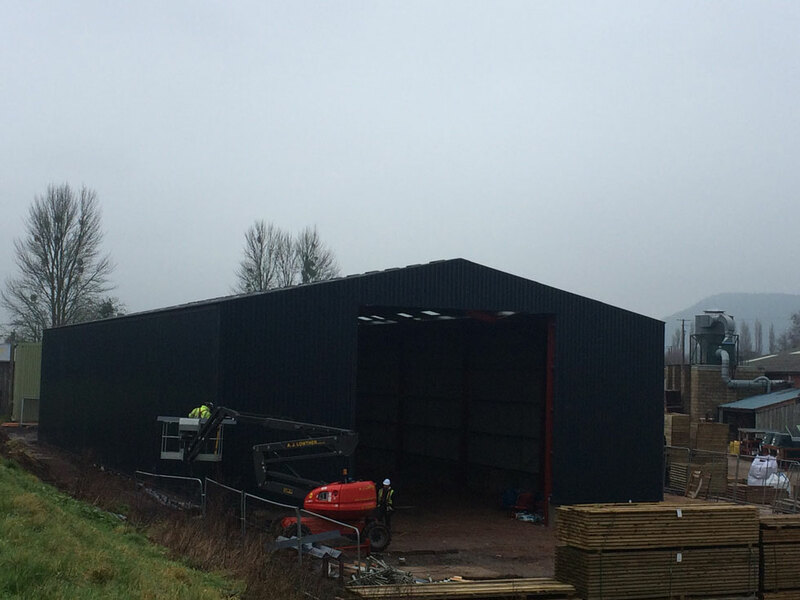 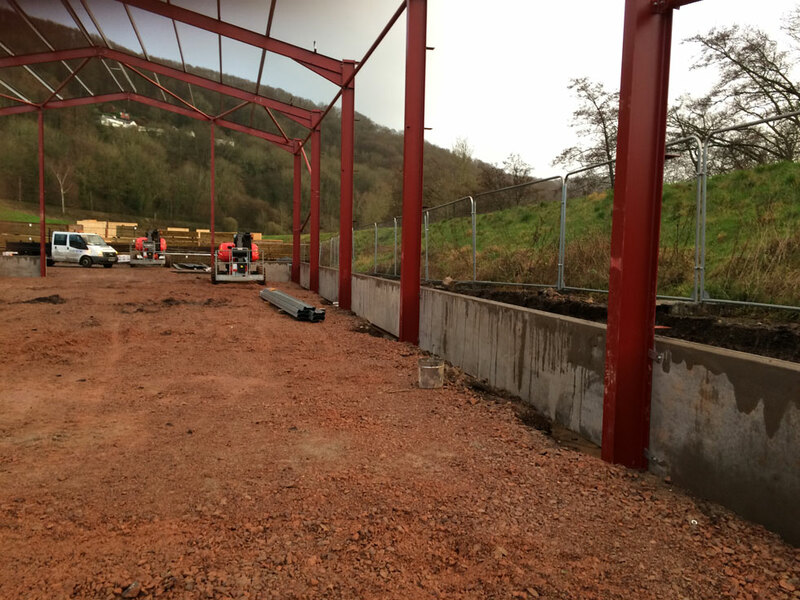 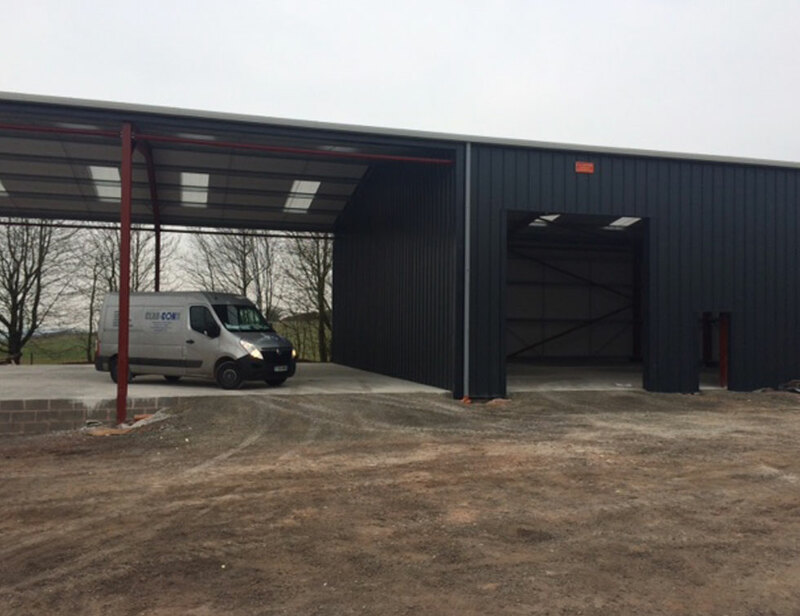 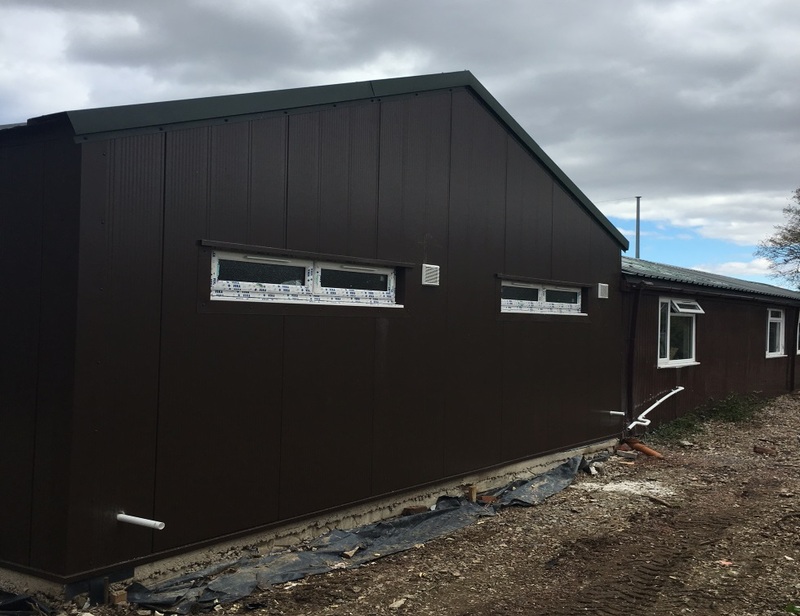 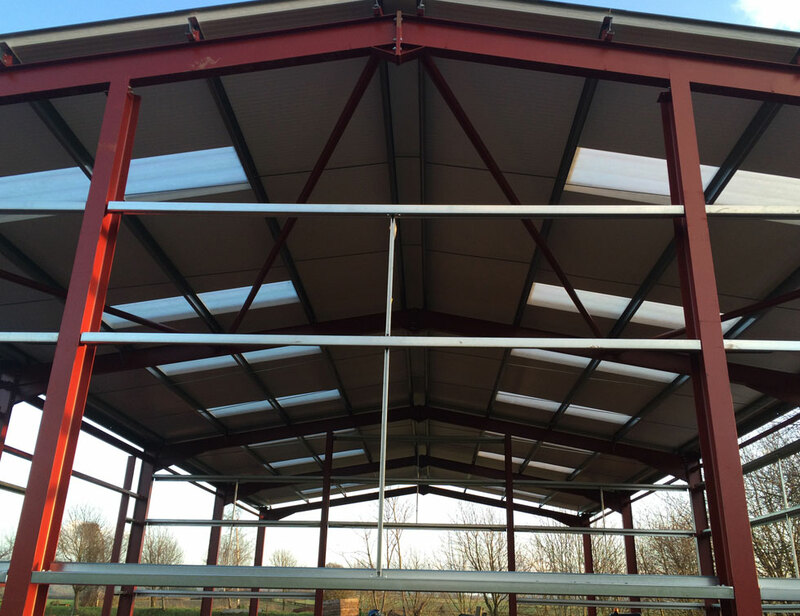 Installation of Steelwork, Horizontal Pre cast concrete panels, Fibre Cement Roof, Single Skin Wall Cladding. 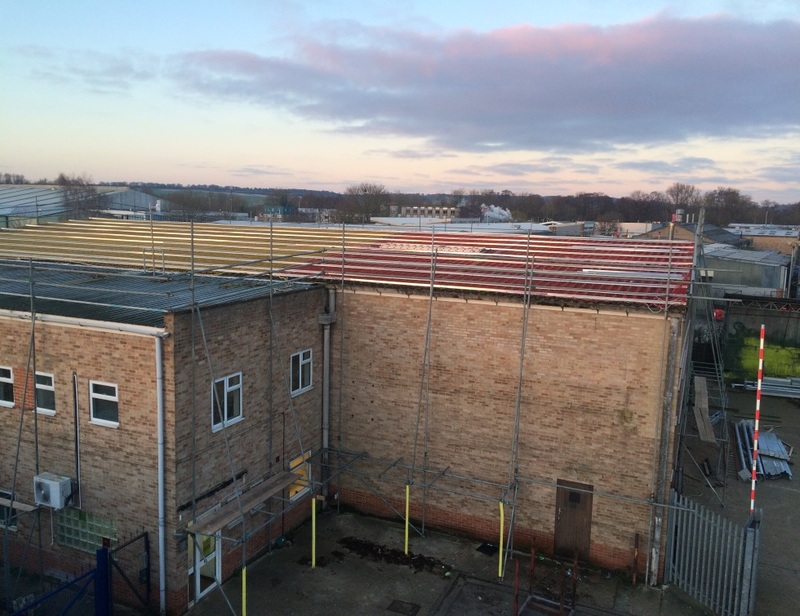 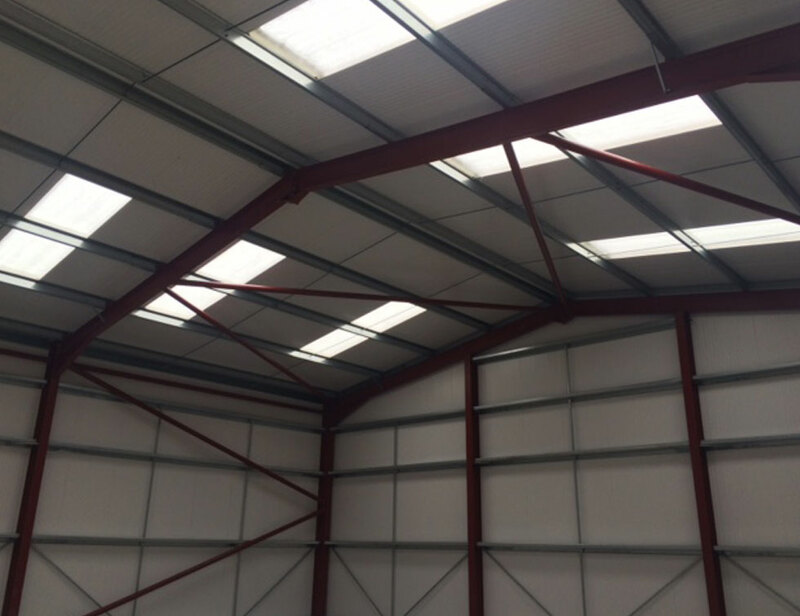 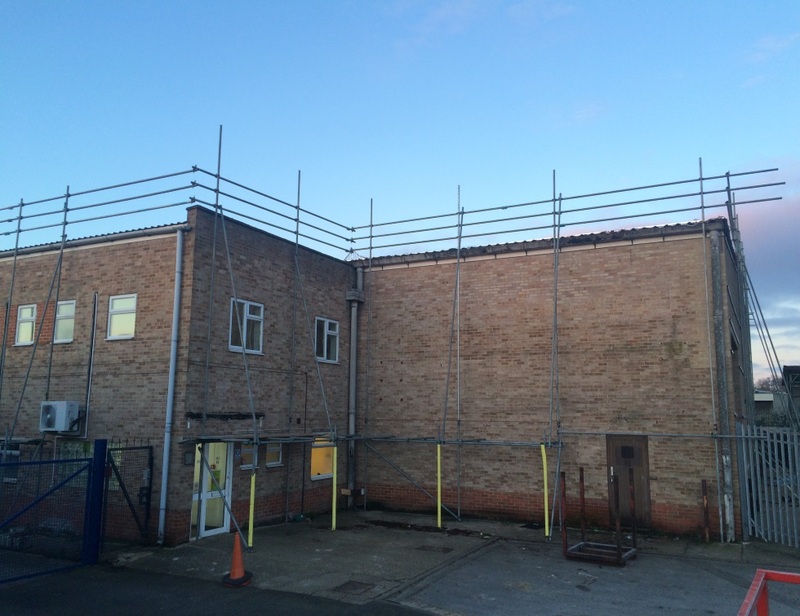 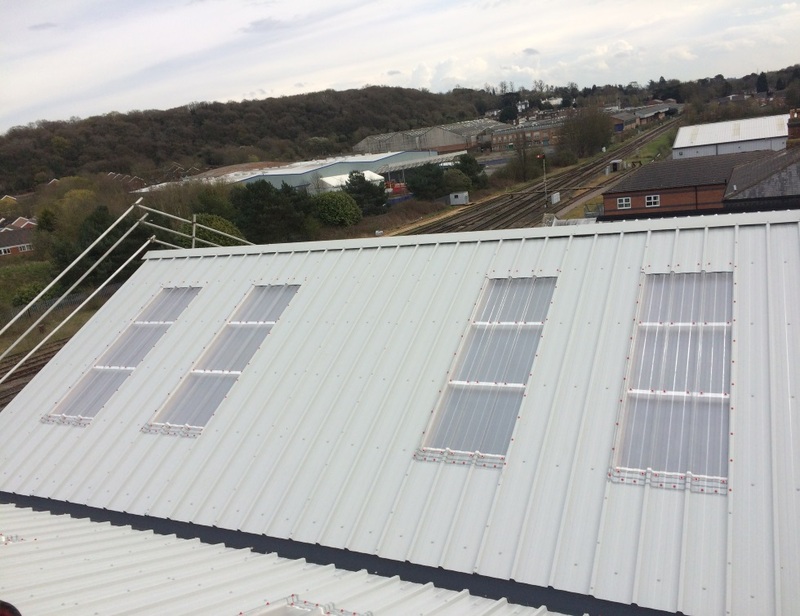 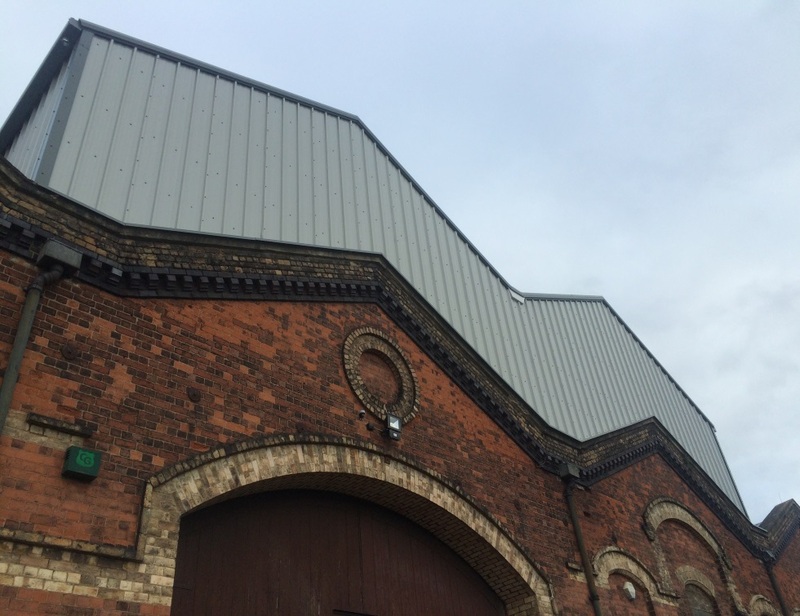 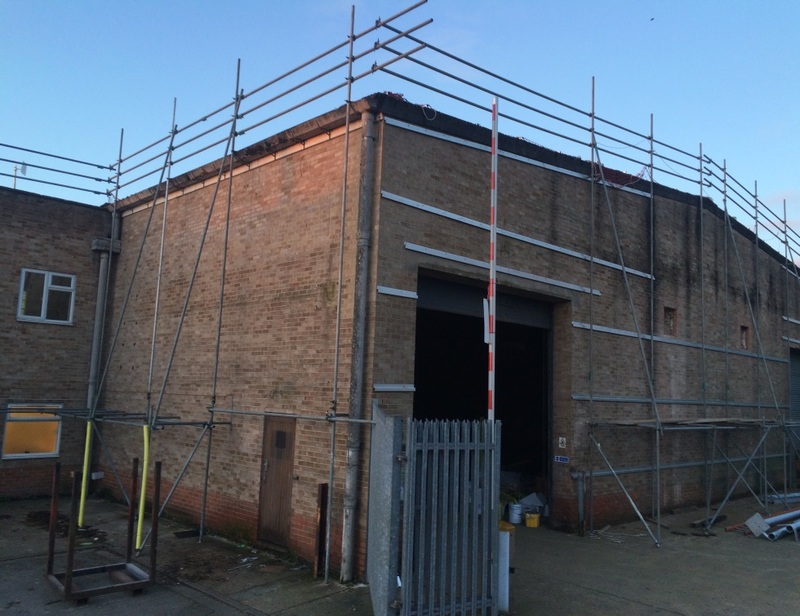 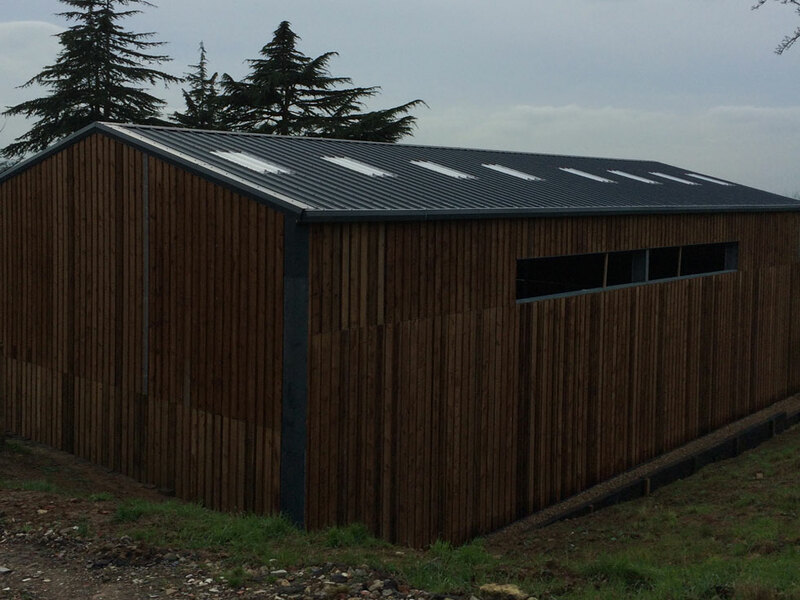 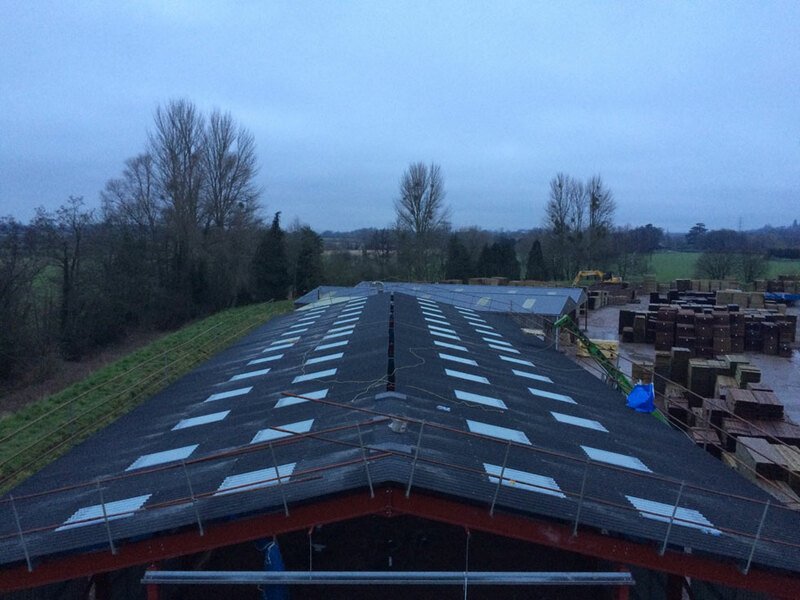 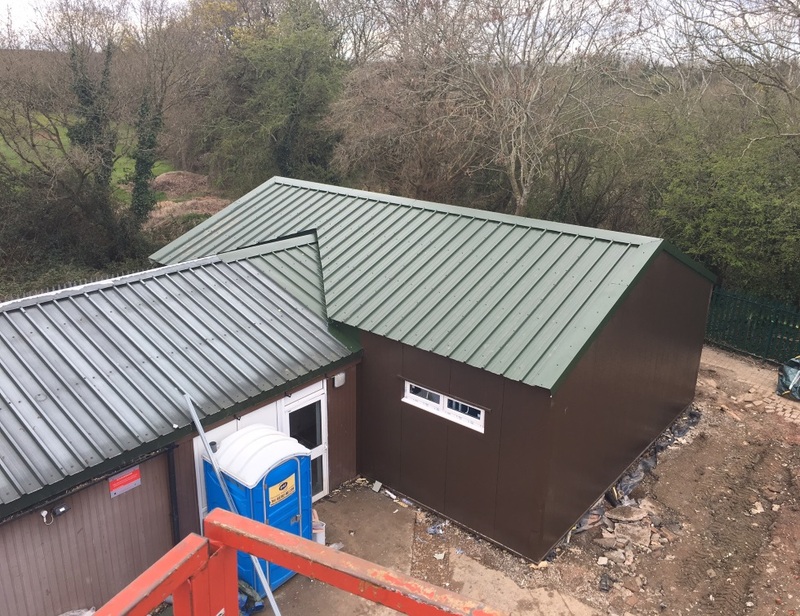 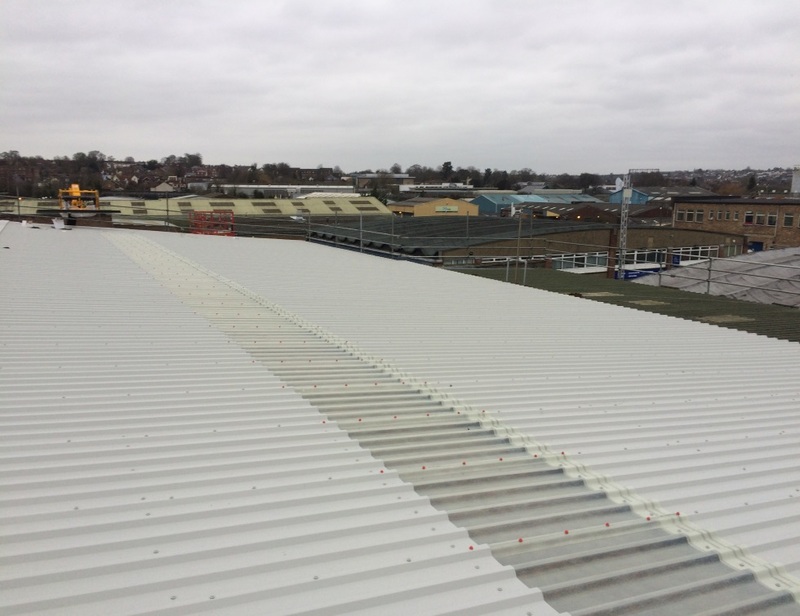 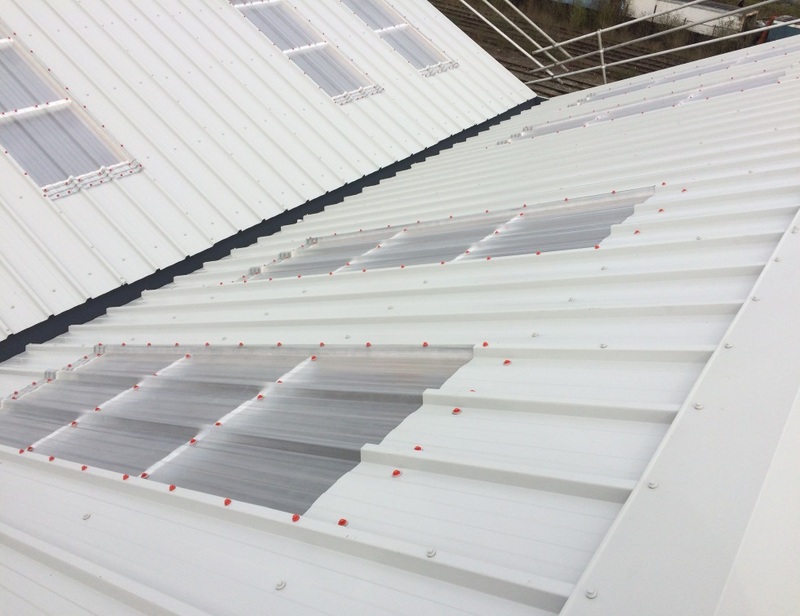 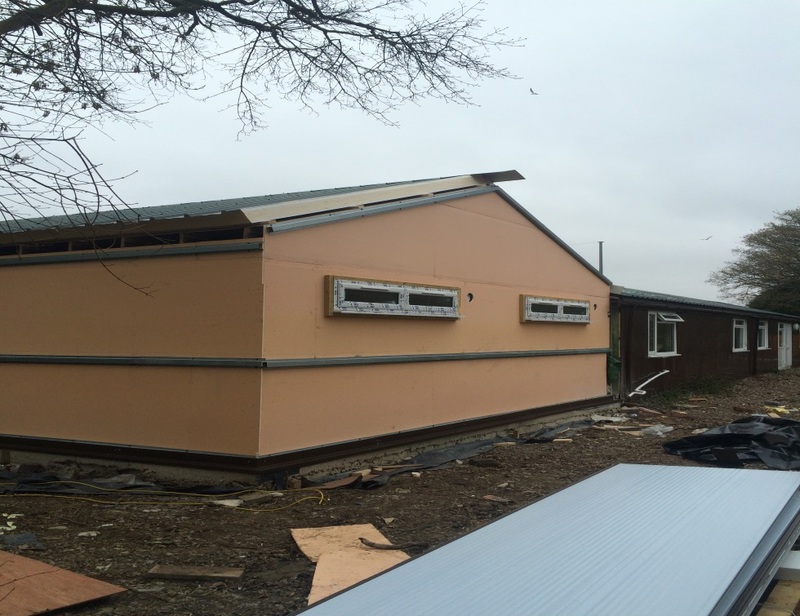 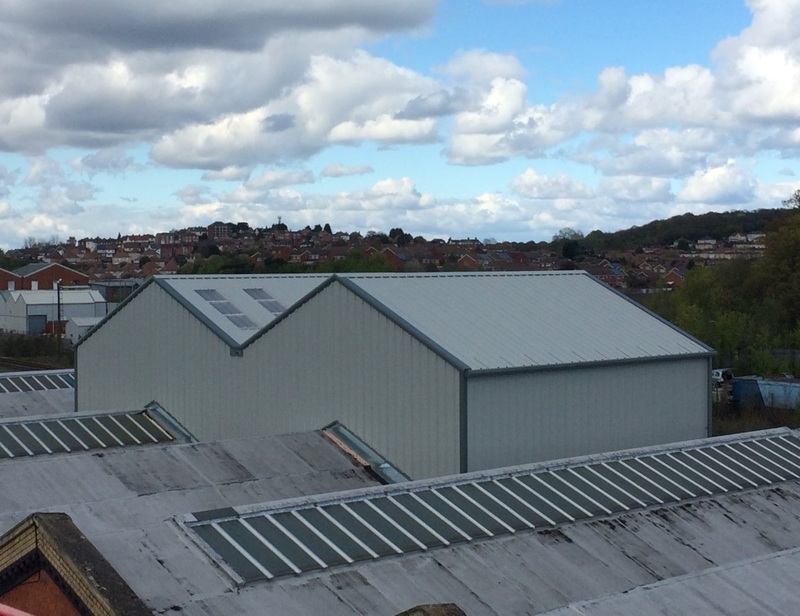 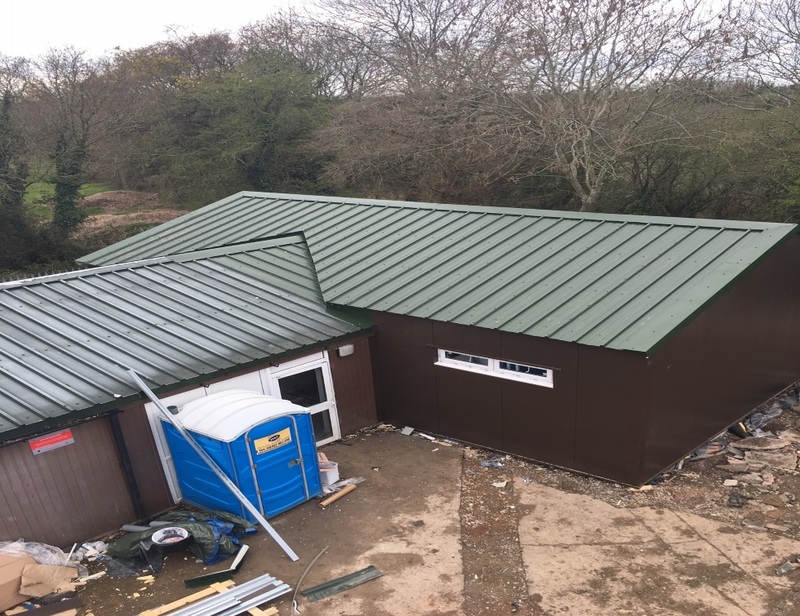 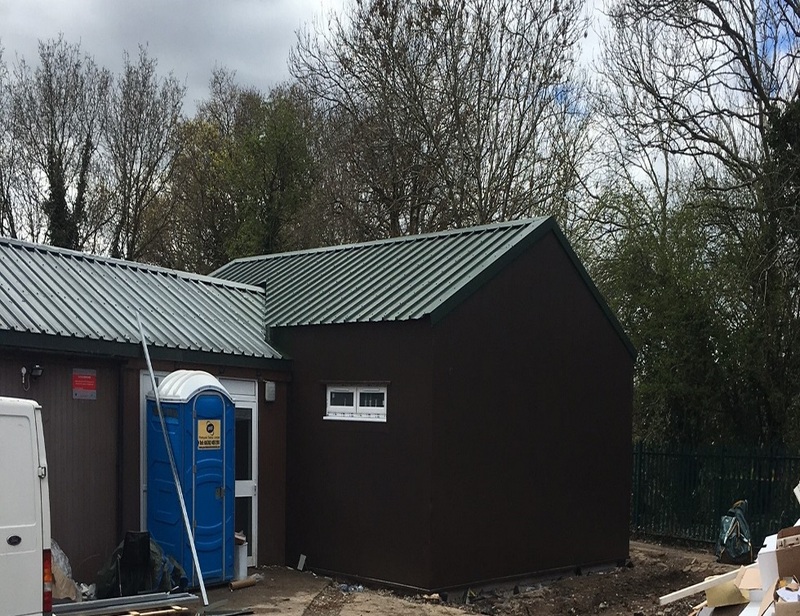 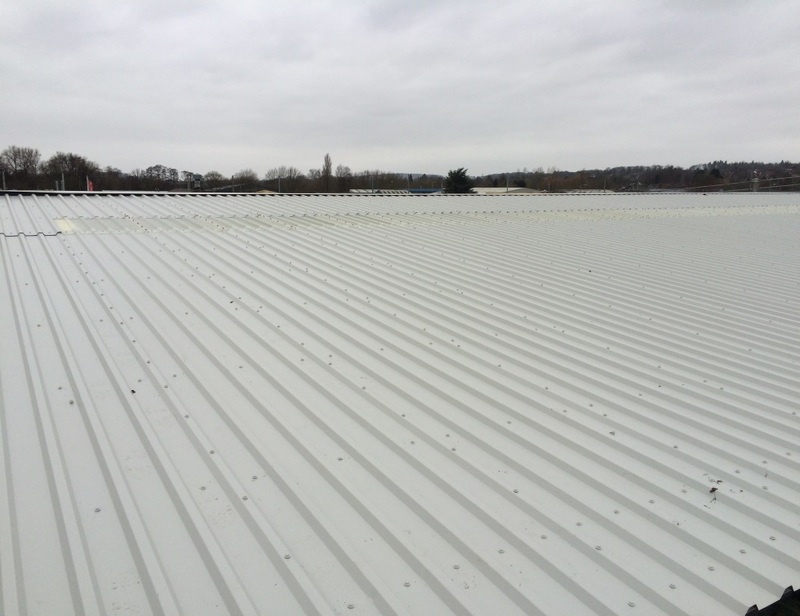 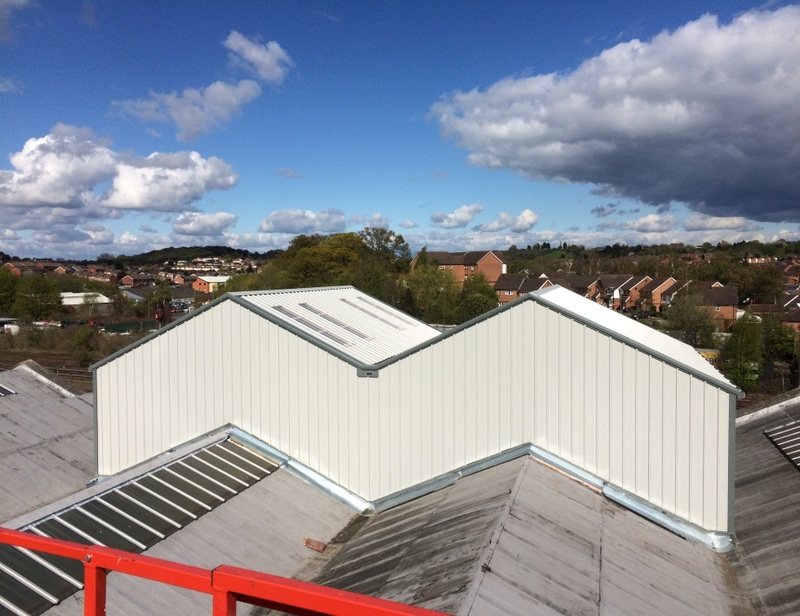 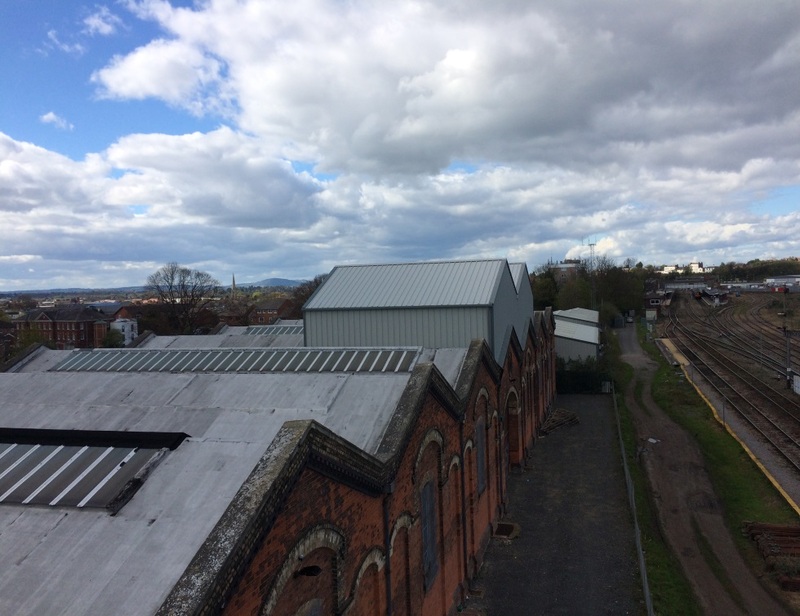 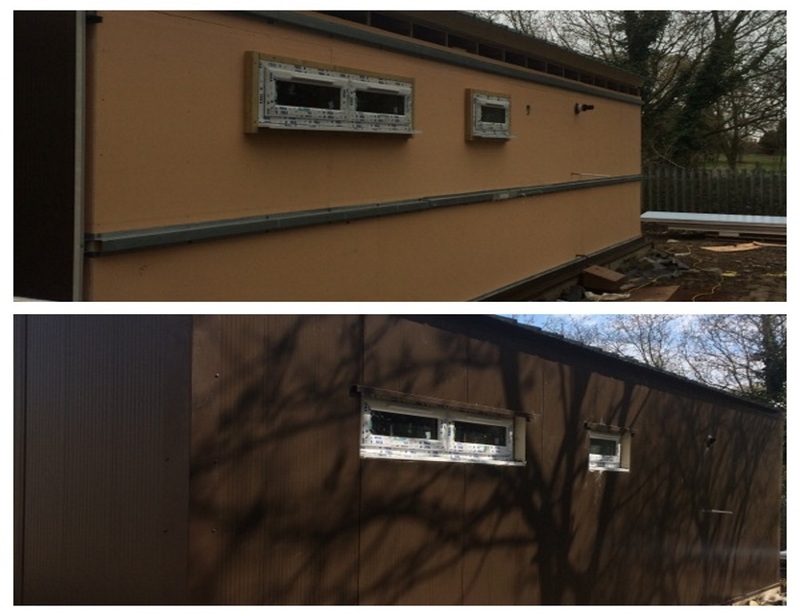 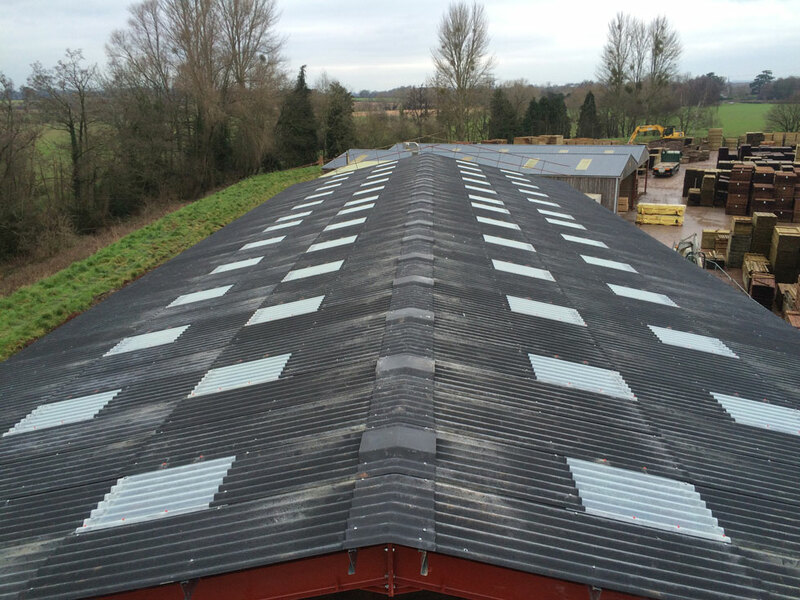 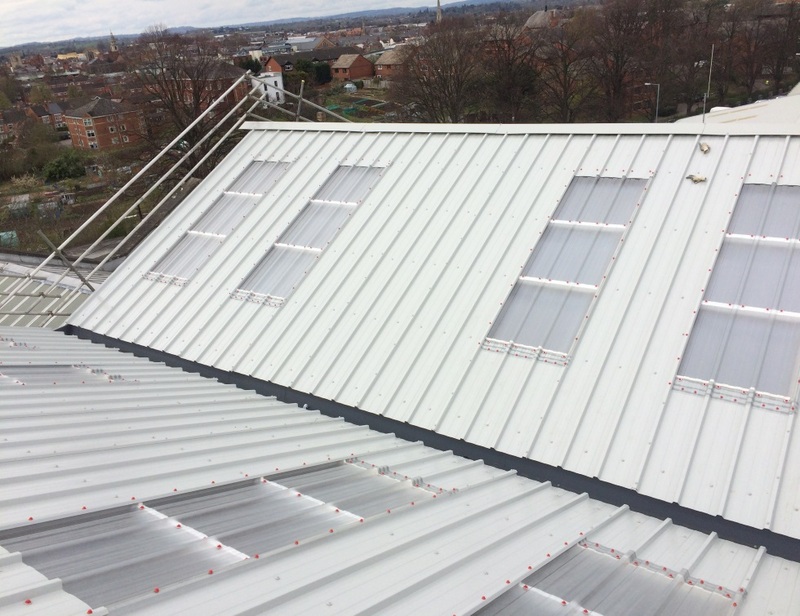 Kingspan KS1000RW on Roof and Kingspan Tramline Secret Fix on Walls. 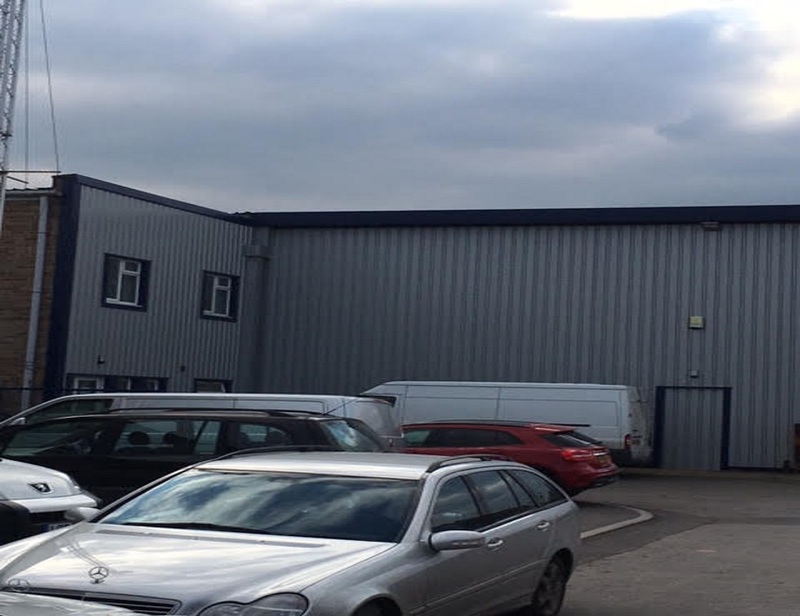 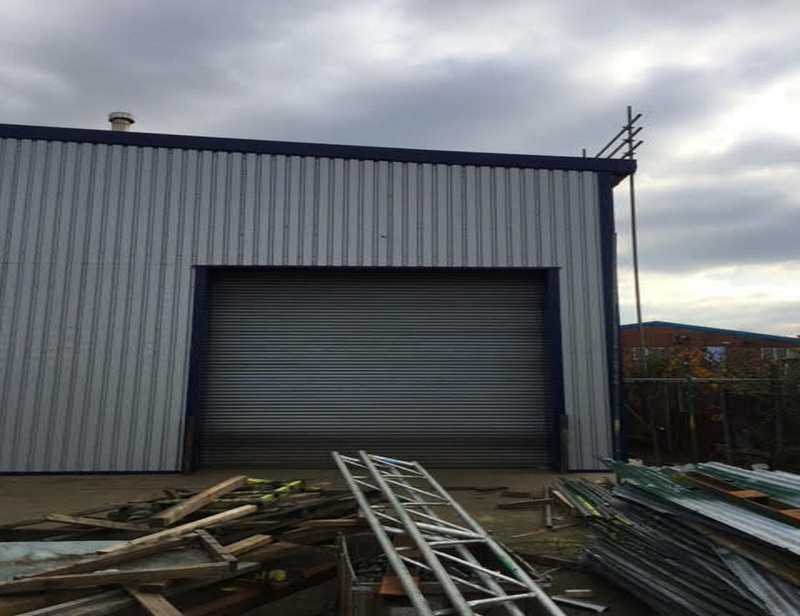 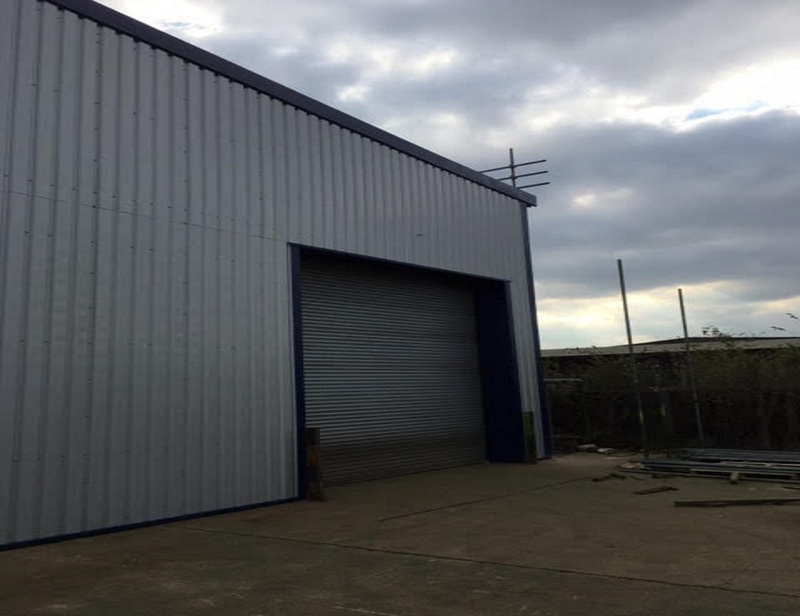 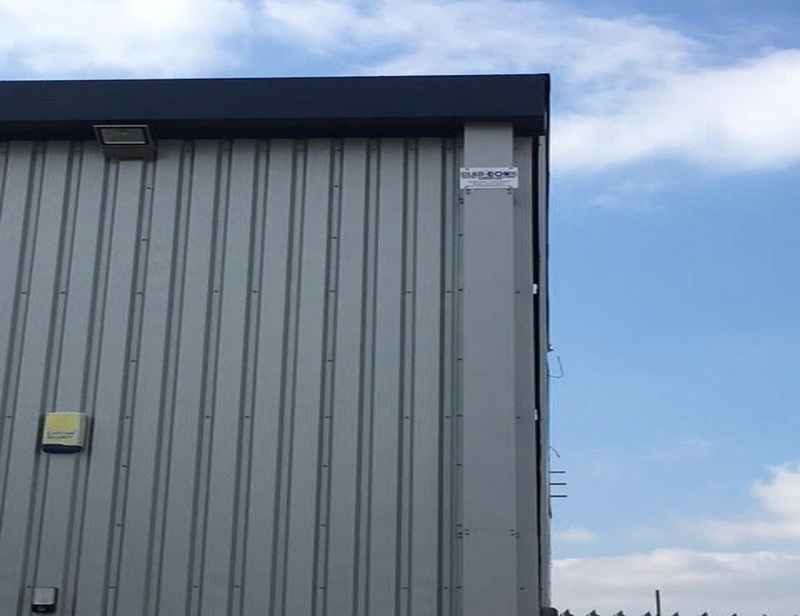 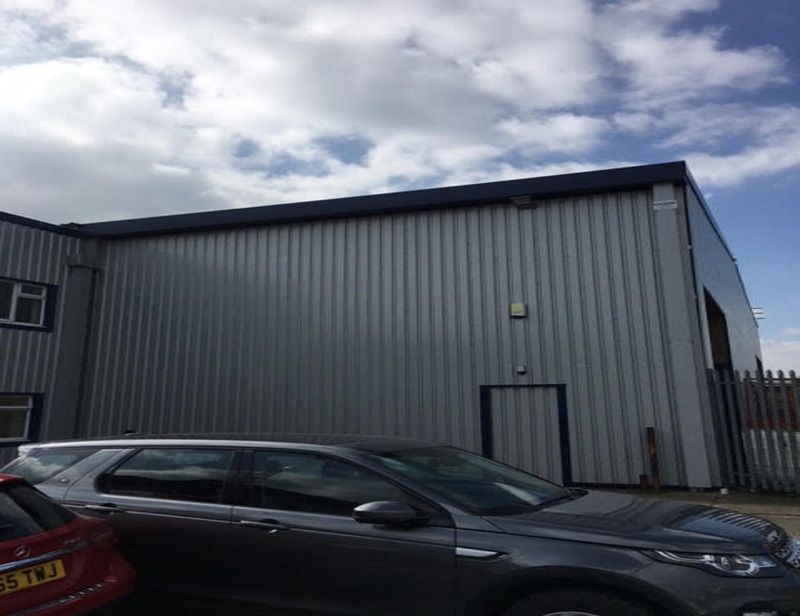 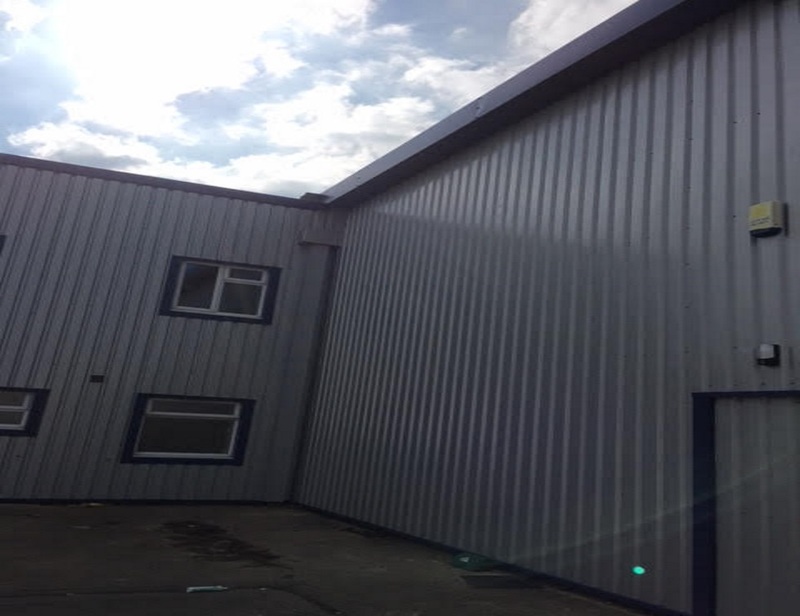 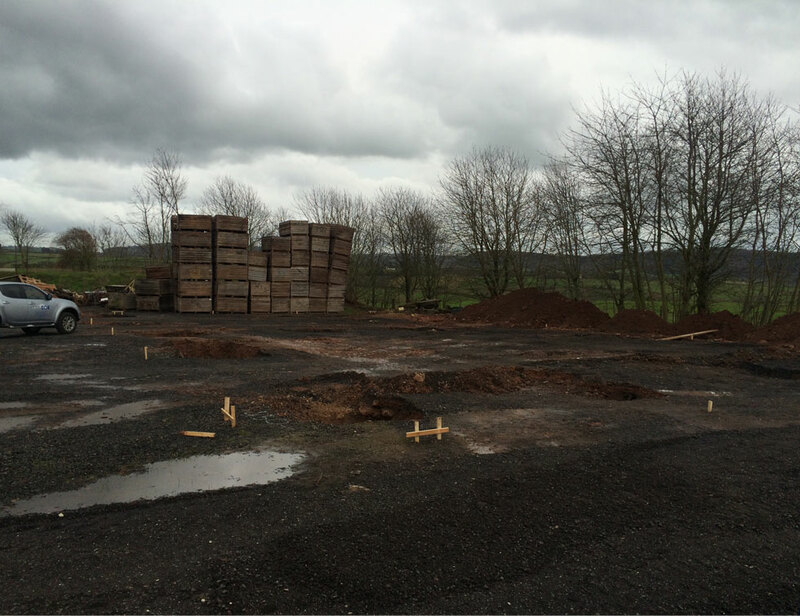 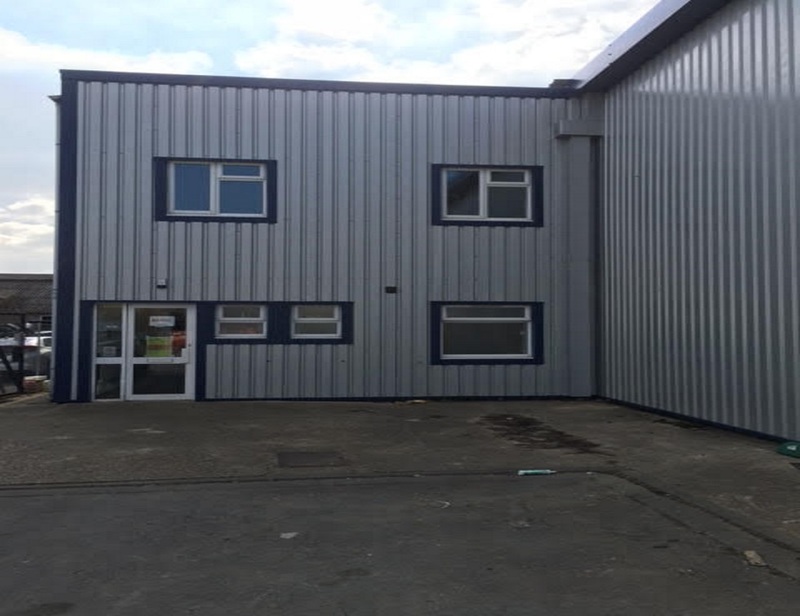 Client wanted to turn this unit into a Trade Centre. 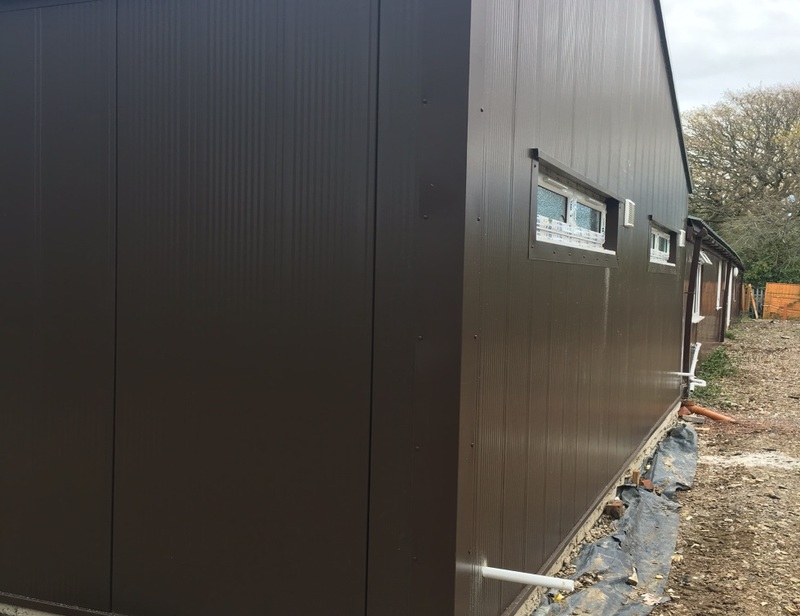 He asked for a Unit that would stand out on the Estate. 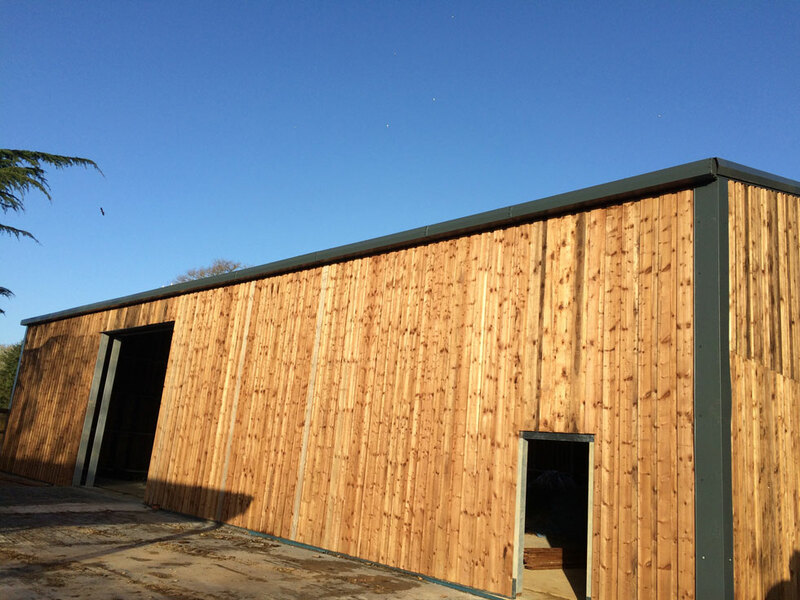 Results look great. 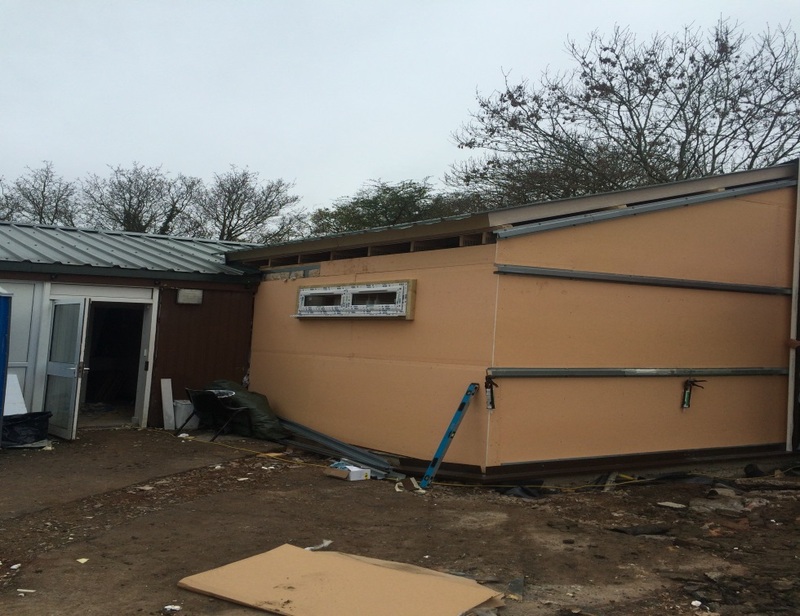 Extension to create a Higher area for internal climbing wall.